A "stealth disease" which can cause liver failure, diabetes and severe arthritis may be much more common than previously thought, research has shown. Thought to be the UK's most common genetic disorder, haemochromatosis is linked to a faulty gene passed from both parents to their child. "We've shown that hereditary haemochromatosis is actually a much more common and stealth disease, including in older people," he said. The UK National Screening Committee said it will be "look at the evidence to screen for haemochromatosis in 2019/20, as part of its routine three yearly review." Jason Cloke, 42, died in 2010 after his organs were damaged by a build up of iron. 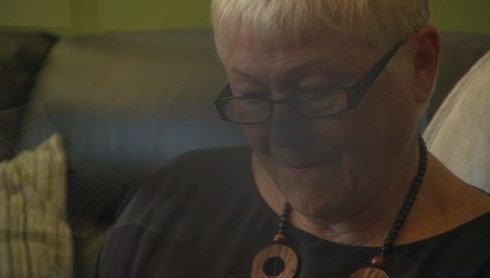 His mother, Jenny Lees, herself a haemochromatosis sufferer, believes three members of her family died from the condition. The cause of her son's death, however, was confirmed as haemochromatosis. "His liver was cirrhosed, he had chronic diabetes, he then picked up hepatitis A and they couldn't give him the antibiotics that he needed," said Mrs Lees. "You don't believe that you're going to lose a child before your death, it's the wrong way round," she said. Prof Melzer said haemochromatosis was easy to treat if caught early enough, but was "difficult to spot". "It tends to only be diagnosed quite late on when a lot of the damage is done and treatment is only partially successful," he added. Haemochromatosis is a condition that leads to the accumulation of iron in the organs of the body. It is caused by a faulty gene - Northern Europeans with Celtic origins, particularly of Irish backgrounds, are more likely to carry the gene. Symptoms include fatigue, joint disease, skin problems, and sexual health issues - left untreated it can cause serious illness such as liver cancer and cirrhosis. 'I was in excruciating pain from excess iron'. The mother-of-two from Stamford, Lincolnshire runs up to 70 miles a week and first visited a doctor with symptoms of low energy levels in September 2017. She said she was "feeling exhausted" all the time and found running much harder for "no obvious reason". However, after a transfer to a consultant and undergoing a few treatments, she noticed aches in her joints alleviating. "I just felt more 'with it' and alive," she said. Mrs Jones's husband Brian is now undergoing testing to see if he too has haemochromatosis, which would help to indicate whether their daughters, aged 10 and 13, carry the gene or have the condition. Prof Debra Lapthorne, from Public Health England said: "We really welcome this study and think the work will be clinically very important as the results could have implications for clinical practice and help us find people much earlier, before significant damage is done. "This work shows the real benefit to the population of linking academic research to policy and clinical practice."